IT'S HERE! This Weekend the 1st Annual Thunder Mountain Fall Festival Opens! Our Thunder Mountain Fall Festival is opening this weekend on October 1, and the staff at Bridal Cave has worked tirelessly to get it ready. Our scenic Lake of the Ozarks attraction looks even more gorgeous than usual with all of the decorations up. You'll be in the fall spirit the second you lay eyes on it. 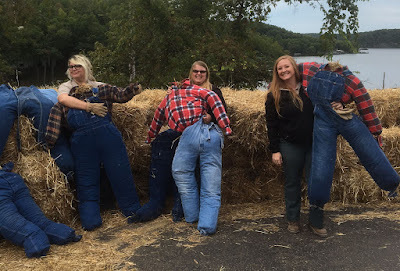 You will want to make sure to find the time to come out and experience our 1st Annual Thunder Mountain Fall Festival in person, because the photos in today's blog are only a fraction of the excitement waiting to be had! When you visit the park and purchase a tour ticket, you will not only get to see one of America's most scenic caverns, but you can also take part in all of the fun activities, demonstrations, and entertainment included! It's almost time for our Thunder Mountain Park Fall Festival! (You can see the evidence of it all over the park already!) 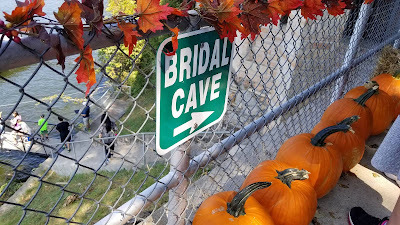 While all the autumn-themed fun doesn't officially start until October 1st, there are a couple of other exciting events happening near Bridal Cave & Thunder Mountain Park to keep you entertained until then. Both of these annual events are well worth taking the time to check out! Thunder Mountain Fall Festival Preparations Have Begun! We were excited during the planning phase for our Thunder Mountain Fall Festival happening this October, but now that we've physically gotten some of the preparations underway at our Lake of the Ozarks family attraction, we are ecstatic and giddy with anticipation! The staff here at Bridal Cave and Thunder Mountain Park has already been very busy getting the park decorated, but there's a lot more coming before October gets here. We're not the only ones looking forward to our Fall Festival. Due to the large amount of inquiries since we first announced it, we have made the wonderful decision to keep the festival fun open EVERY DAY IN OCTOBER instead of just on the weekends, with bluegrass entertainment and demonstrations added on the weekends. We'd like to extend an extra-special thank you to Camdenton Farm & Garden Center, who is the sponsor for this year's incredible event. Join Us In Welcoming The VFW Post 5923 Bunker Bar & Grill! 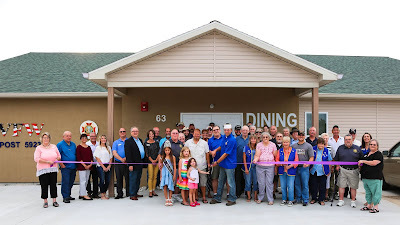 Bridal Cave & Thunder Mountain Park would like to join the community in congratulating VFW Post 5923 in Camdenton on the opening of their brand new building. This new location is not only for VFW members, but instead has been opened to the public and contains a brand new restaurant, the Bunker Bar & Grill. Dining at this home-style, family-friendly restaurant not only offers you a delicious meal, but also the chance to support the VFW organization and its members. At one point, people were worried that this project would never come to be, but after three years of fundraising, hard work, and lots of volunteers, it finally opened its doors on August 3, 2017 and hosted a grand opening on September 3. It wasn't just the veterans and the VFW Auxiliary that stepped up to make this dream a reality, but also many generous local individuals and businesses, plus soldiers from Fort Leonard Wood. Many were eager to donate money, materials, time, and labor.